If you want to protect your puppy against disease, you need to know not only how vaccination can save your puppy’s life, but also how it be taken away in the blink of an eye. Many vets don’t even know this! A few years ago, Georgia brought home a beautiful Great Dane puppy called Easy. Georgia was an informed pet owner and knew vaccines had the ability to harm Easy … but she also wanted to protect him from parvovirus and other common puppy diseases. So Georgia decided to vaccinate Easy. She vaccinated him the safest way she knew how … with just one single parvovirus vaccine, given after Easy was 6 months of age. Just a year later, Easy developed osteosarcoma (an aggressive bone cancer) right on the spot where Easy received his vaccine. Six weeks later, the pain became too much for Easy and Georgia helped him to cross. It’s critical to understand how to minimize this risk. Your puppy’s life depends on it! I hear many pet owners proudly say they vaccinate minimally … which for most puppies, means 4-5 times for the same vaccine before they’re a year of age. There’s nothing minimal about this! And when I share some information on current vaccine research with you, you’ll agree with me. The first step in reducing that risk is to have a basic knowledge of what vaccines can and can’t do before you decide to vaccinate. So as you can see, vaccines can and do harm dogs and puppies every day. Step Two: Vaccination or Immunization? It may come as a surprise to you – and to many vets – that vaccination and immunization are not the same thing. Your dog or puppy is perfectly capable of creating immunity all by himself – and once he does, the immunity likely lasts for a lifetime. Naturally acquired immunity is why, not that long ago, parents used to have ‘chicken pox parties’ for their children; and also why, once children got chicken pox, they never got it again. 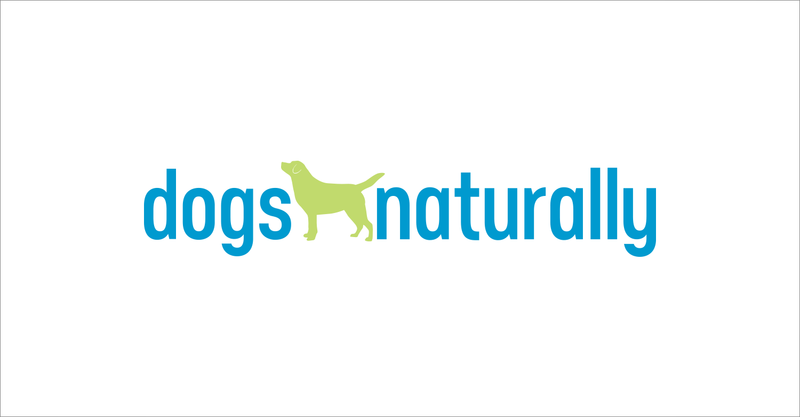 Natural immunity is how most dogs survived without vaccination when parvovirus first came on the scene over thirty years ago – and how the original strain of parvo is still in the environment but very rarely causes noticeable clinical signs in dogs. The body has a highly functional immune system that works exceedingly well in most cases. Most vets pay a lot of attention to vaccinating, but very little attention to immunizing. The result is that puppies are vaccinated too early, too often and with too many vaccines at once. When this happens, the vaccines suppress the immune system instead of supporting it – or in many cases, they can cause an over-stimulation of the immune system and the body can begin to attack its own cells. The results are autoimmune diseases, such as allergies, joint disease, digestive diseases, Cushings disease and even cancer. So it’s crucial that every vaccine and every puppy is treated with the utmost caution and care and that immunization, not vaccination, is the goal. When puppies are very young, they’re protected from disease by drinking their mother’s first milk, called colostrum. This rich milk contains maternal antibodies against infectious disease, which the mother passes down to her puppies. The puppy’s immune system is not fully mature, or active, until he is around six months of age, so the maternal antibodies provide passive immunity to each puppy. When a puppy with a reasonable amount of maternal antibodies is vaccinated, the maternal antibodies will essentially inactivate the vaccine, just as they would a real virus. The maternal antibodies for distemper are fairly predictable and are usually low enough for vaccination to be effective at eight or nine weeks of age. In the case of parvovirus however, the maternal antibodies last a lot longer in most puppies, so vaccinating at eight or nine weeks wouldn’t be all that effective. In a study performed by Vanguard, it was found that a combination vaccine (which typically contains parvovirus, distemper and one to five other antigens), given to six week old puppies had only a 52% chance of protecting them against parvo. At nine weeks of age, 88% of the puppies in the study showed a response to the vaccine. At 12 weeks, 100% of the puppies were protected. Some vaccines will provide protection earlier or later. What this study shows is that vaccinating puppies under 12 weeks of age for parvo, and certainly under nine weeks of age, is a high risk – low reward approach. Researchers at Purdue University found that the risk of vaccine reactions increased by 27% for each additional vaccine given per office visit in dogs under 22 pounds, and by 12% in dogs over 22 pounds. Clearly, we need to take a better look at how many vaccines our puppies receive at one time, and also whether they need those vaccines at all. Most vets haven’t seen a case of distemper in years, which begs the question: why the big push to start vaccinating puppies at six to eight weeks of age when the parvovirus component is unlikely to work and it’s very unlikely the puppy will come into contact with distemper? Next let’s look at puppy vaccination mistake number two. Pfizer performed an interesting field study in 1996 where they split vaccinated puppies into two groups. Group B – received a first vaccine between eight to 10 weeks and a second at 12 weeks. When immunity was measured, 100% of the puppies vaccinated once at 12 weeks were protected whereas only 94% of the puppies in Group B were protected … despite receiving two vaccines as opposed to one. So vaccinating your puppy twice not only doubles his risk for adverse vaccine reactions, it appears to make vaccination less effective overall. Most people – and many vets – believe it takes more than one vaccine to create immunity in a puppy. This simply isn’t true. That very high percentage is nearly 100%. The only reason vets give puppies more than one vaccine is they’re trying to catch the small window in time when the maternal antibodies are low enough to not block the vaccine, but the puppy is young enough that he’s not exposed to too many viruses in the environment. The point in time when the maternal antibodies for parvovirus wane enough for vaccination to work can vary between eight weeks and 26 weeks. So vets dutifully and mindlessly vaccinate every two to four weeks – with a combination vaccine, not just with parvo – trying to get one of them to work. Most vets also unnecessarily vaccinate once more at a year of age – just to be certain. Nearly all vets vaccinate every year or three years after that – for some unknown reason, because there’s no scientific validity to this practice. As Dr Schultz stated, there is no need for revaccination once a puppy is protected – and if a puppy receives a vaccination at 16 weeks, he is very, very likely to be protected. Now let’s look at the final issue. The result of the above errors in judgment is that puppies receive more vaccines than they need … lots more. They receive a parvovirus component in their first combination vaccine when that part of the vaccine has little chance of working. Most puppies are protected against distemper with the first vaccine if it’s not given too early … yet most puppies are given a combination vaccine containing distemper at 12 to 16 weeks and older – when they’re already protected for distemper and really only need the parvovirus. Most combination puppy vaccines also contain an adenovirus component. Adenovirus has been shown to suppress the immune system for ten days following vaccination. This means that puppies that receive needless vaccines not only suffer the risk of adverse events from the vaccine, but they are more at risk of picking up any other virus or bacterium that crosses their path because their immune system has been overloaded by the vaccine itself. Now add to that the immune suppression from the parvovirus. And add to that the immune suppression from the distemper. And that’s the best case scenario … many puppies receive 7 vaccines at once, not just 3! This is not a good proposition for a puppy, his immune system will be suppressed while his body tries to fight four, five or even seven different diseases, all at the same time. Adenovirus is an upper respiratory disease that’s self limiting … that hardly seems like a good trade off for immune protection when puppies need it most. The same applies to parainfluenza … this is included in many puppy shots. Many also contain coronavirus, which commonly occurs only in puppies too young to be vaccinated anyway. Some puppies will also be vaccinated with other non-core vaccines including the particularly dangerous leptospirosis vaccine. Others may get rabies or kennel cough at the same time. And each component makes your puppy more susceptible to diseases in his environment. Isn’t what you were trying to protect your puppy from in the first place? The puppy vaccination schedules that most vets recommend don’t adequately address immunity. How do you safely protect your puppy from infectious diseases but also protect him from the damaging effects of over-vaccination? Titer tests can save your puppy’s life. Literally. Instead of guessing if vaccination is necessary, you need to ask your vet to run a titer three weeks after your puppy’s last vaccination. If your puppy has a good amount of titer, he’s likely protected (and that means he shouldn’t need another vaccine for his entire life or at least 7 to 15 years, according to Dr Schultz’s vaccine research). 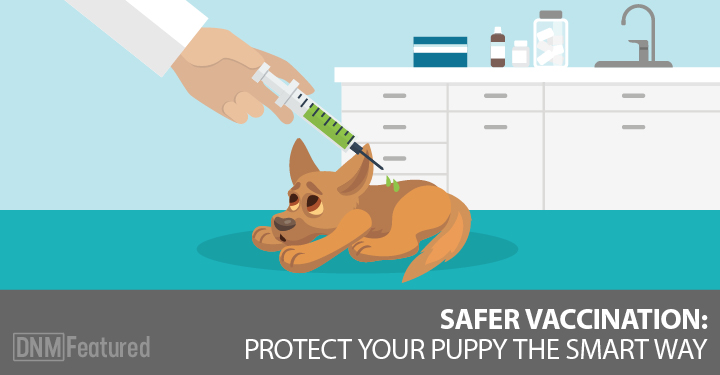 If there’s no measurable amount of titer, then you know your puppy needs another vaccine. Titer testing will make sure your puppy never gets a vaccine he doesn’t need. Titers also allow vets to use the safer monovalent vaccines. So if you’re puppy is protected for distemper but not parvovirus, you can ask your vet for the parvo vaccine only and reduce the risk that goes along with those combination vaccines. … that titer test can reduce your puppy’s risk of vaccine damage by 27% if he’s small. Some vets charge a lot of money for titer tests, or may even be unwilling to run them, so be aware. This not-for-profit company offers titers at very reasonable costs. Distemper and parvo titers currently cost $52 (for both). You can ask your vet to draw blood (most vets charge about $15 to $20 for this service) then send the blood sample yourself to Hemopet, completing the online submission form on the website. You can ship via FedEx or UPS, but the most economical method is through the US Postal Service … the tube wrapped in some bubble wrap fits quite nicely in a Priority Mail Small Flat Rate Box which costs $6.80 to mail and refrigeration is not necessary, according to Hemopet. Total cost (depending on your vet’s blood draw fee) would be around $75 to $80. This company offers in-house titer testing for distemper, parvo and adenovirus for vet clinics and results can be available in as little as 21 minutes. The cost varies a lot as each clinic sets their own rates for these in-house titers, but should be in a range from $40 to $80. This is another titer test for parvo and distemper that vets can use in-house in their clinics, producing results within 15 to 20 minutes. Again, the cost seems to range from $40 to $80. Note that in all of the above cases you may also be charged your vet’s fee for an office visit, in addition to the above rates. This is probably at least $50, depending on where you live. You may have to make a few phone calls to track down a vet who’s using these in-house tests but it’s well worth the effort. Why Are Vets Ignoring Titers? Despite the availability of Dr Schultz’s research and the ease of using titer tests, many vets believe – and lead us to believe – that puppies still need a series of vaccinations. Many vets understand titers but don’t offer them as an option to vaccination. Whether that means less profit for the vets or they’re assuming puppy owners don’t want to invest in a safer vaccination program is beyond me. In the end, the best way to avoid vaccine damage – and your puppy being the subject of another tragic story – is obviously to not vaccinate. 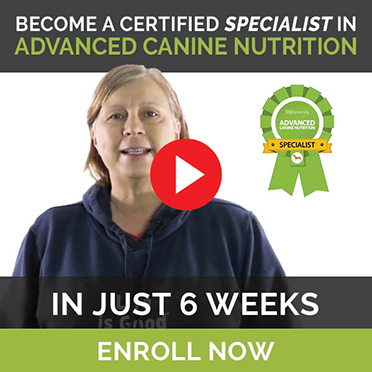 Simply supporting the immune system can go a long way toward avoiding acute disease such as parvo – and will certainly reduce the severity of the symptoms. The second option is to choose vaccines wisely and with a constant awareness that every vaccine has the potential to kill the patient. Titers are useful tools that really don’t cost much more than vaccines … especially when compared to the thousands of dollars pet owners spend every year on chronic, vaccine-induced diseases including but certainly not limited to, hypothyroidism, seizures, cancer, arthritis, allergies and gastrointestinal issues. The worst option is to do nothing different and haphazardly vaccinate puppies every two to four weeks with a combination vaccine. Many vets fail to make the connection between chronic, debilitating disease and over-vaccination, so unless a puppy’s head swells to the size of a football immediately after vaccination, they’re reluctant to blame vaccines for any of the adverse reactions that Dr Schultz identified. Chances are cases like Easy ‘s will disappear which means one less puppy will be potentially harmed by needless or thoughtless vaccination. (Start your puppy on raw is easier than you think. Click here to visit our 9 Tips To Starting Your Puppy On Raw article).